Since the publication of his first novel, Americana (1971), Don DeLillo (b. 1936) has been recognized as among the most important writers of his generation. In 1999, he became the first American recipient of the Jerusalem Prize, awarded to writers “whose work expresses the theme of the freedom of the individual in society” and previously awarded to Milan Kundera, Mario Vargas Llosa, V. S. Naipaul, Graham Greene, Simone de Beauvoir and Jorge Luis Borges. The winner of the National Book Award for White Noise (1985) and the PEN/Faulkner Award for Mao II (1991) — among other awards — and the subject of several books, DeLillo has achieved international prominence for novels, plays, and short stories that powerfully engage the political, historical, and philosophical issues of our time. Over the past several decades, DeLillo scholarship has grown to include topics as diverse as postmodernity, historiography, systems theory, technology, film, and literary Naturalism, to name but a few. 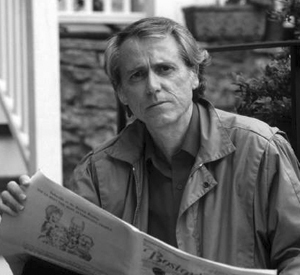 As the body of critical literature and topics for discussion continue to expand, the Don DeLillo Society seeks to facilitate the exchange of ideas between scholars, critics, teachers, and general readers. Two central activities of the DDS are organizing DeLillo panels at literary studies conferences like the American Literature Association (ALA) and MLA, and publishing a digital blog of original scholarship on DeLillo.